Stand out while wearing this elegant Madison James 19178 long chiffon evening dress. 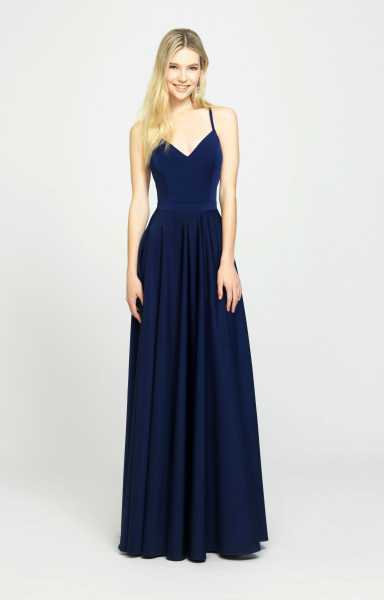 This dress is sleeveless with straps that crisscross in the back. There is a high slit going up the left leg. This dress is simple with no beading and has a back zipper enclosure.